ZURICH, Switzerland – The Barry Callebaut Group, the world’s leading manufacturer of high-quality chocolate and cocoa products, increased its sales volume by +1.7% to 541,109 tonnes during the first three months of fiscal year 2018/19 (ended on November 30, 2018), on top of a very strong +8.0% volume growth in the same prior year quarter and above the global chocolate confectionery market2. Volume growth was supported by Regions Americas (+8.0%) and Asia Pacific (+3.8%). Region EMEA posted stable volumes (-0.1%) in the first quarter, following a double-digit volume growth of +10.3% in the same prior year quarter, and expects an acceleration in the coming quarters from recently signed outsourcing deals, such as Burton’s. Sales revenue for Barry Callebaut amounted to CHF 1,881.4 million, an increase of +3.7% in local currencies (+0.5% in CHF), outpacing volumes mainly due to a better product mix. The Group will share further information on its growth strategy and business model at the Investor Day to be held on April 16, 2019, in Wieze (Belgium). Expansion: In early December 2018, Barry Callebaut completed the transaction with Burton’s Biscuit Company in the UK, one of Europe’s largest chocolate confectionery markets. The transaction, which includes a long-term annual supply agreement of over 12,000 tonnes of chocolate and compound, that started to come on stream after the closing in December 2018, in addition to the acquisition of additional production capacities in the UK, position Barry Callebaut as the ideal UK-based partner to satisfy growing customer demand in the UK in all possible Brexit scenarios. In November 2018, Barry Callebaut and Garudafood extended their existing supply partnership in Indonesia, the world’s 4th most populous country, and signed a long-term agreement for the supply of an additional 7,000 tonnes of compound per year, coming on stream as of mid-2019. In October 2018, Barry Callebaut signed an agreement to acquire Inforum, a leading Russian B2B producer of chocolate, coatings and fillings. This strategic acquisition, which is expected to be closed shortly, will strengthen Barry Callebaut’s presence in the high-growth Russian market, the world’s second largest chocolate confectionery market. Innovation: Following the successful integration of Gertrude Hawk Ingredients (GHI), Barry Callebaut is now leveraging GHI’s unique portfolio of decoration and inclusion products with existing and new customers. Eclipse by Callebaut, a Belgian milk chocolate with only 1% added sugar, and no sweeteners or fillers, enables chefs and bakers to reduce the sugar content in chocolate desserts and pastries by 20% to 50%. Cacao Barry Pureté, a new range of chocolate products using 100% traceable cocoa, was very well received by customers. One year after the launch of KITKAT® Sublime® Ruby, Nestlé has recently introduced ruby, the fourth type of chocolate, in its premium range of chocolate “Les recettes de l’atelier”. Ruby chocolate is already available in 40 countries worldwide. Finally, Barry Callebaut launched CHOCOLATE ACADEMY™ Online, the world’s first e-learning platform for chocolate professionals, in November 2018. Sustainability: Barry Callebaut published its 2017/18 Forever Chocolate progress report on December 7, 2018. Highlights include that Barry Callebaut sourced 44% of its cocoa and also 44% of all other raw materials from sustainable sources. The Group also distributed over 2.1 million cocoa seedlings to replace ageing cocoa trees and around 400,000 shade trees to improve cocoa farmer yields and benefit their incomes. In addition, 24% of the Group’s factories are now powered by renewable energy. The full report can be accessed at https://forever-chocolate.barry-callebaut.com. In November 2018, a strategic partnership was announced between Barry Callebaut, Tony Chocolonely and Albert Heijn, the biggest retailer in the Netherlands, to expand fully traceable, sustainable cocoa sourcing, which is an important move to making sustainable chocolate the industry norm by 2025. 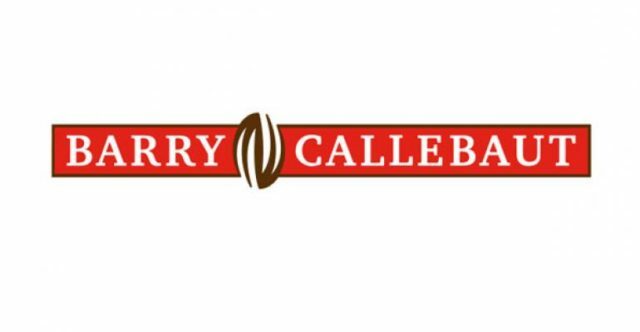 Barry Callebaut’s sales volume growth in Region EMEA (Europe, Middle East, Africa) was stable at 248,053 tonnes (-0.1%), following a double-digit prior-year increase of +10.3% and an increased focus on more profitable volumes in Food Manufacturers. Beverages, a material part of the Group’s Gourmet & Specialties portfolio, was scaled down to refocus on more profitable activities. As new outsourcing volumes are coming on stream, sales volume in Region EMEA is expected to accelerate in the months to come. (-3.7% in CHF) and in line with sales volume growth. Region Americas had a strong start with +8.0% sales volume growth to 147,909 tonnes, driven by both Food Manufacturers and Gourmet and well ahead of the regional market growth4. Food Manufacturers in North America benefited from good volumes with both National and Corporate Accounts. In South America, Gourmet maintained its double-digit growth. The ongoing market consolidation in the US is expected to provide new opportunities to fuel the growth of Region Americas, which will add to the Group’s positive momentum. Sales revenue was up +12.2% in local currencies (+11.3% in CHF) and reached CHF 479.6 million. Region Asia Pacific grew its sales volume by +3.8% to 27,482 tonnes, on the back of +17.4% volume growth in the same prior-year period. Regional Accounts in Food Manufacturers continued its healthy growth whilst Corporate Accounts had a slower start. In Gourmet, double-digit volume growth continued in the Region’s two key markets, China and Japan. The Group expects the volume momentum to accelerate in the second half of the fiscal year as a result of additional outsourcing volumes and an enhanced Gourmet distribution strategy. Sales revenue rose by +1.9% in local currencies (+1.2% in CHF) to CHF 98.4 million. As planned and communicated previously, volumes sold to third-party customers are flattening, reflecting the Group’s increasing own needs for cocoa products. Volumes sold to third-party customers in the first three months of the current fiscal year declined by -2.4% to 117,665 tonnes, compared to +7.4% volume growth in in the same prior year quarter. Sales revenue increased by +2.8% in local currencies (-1.9% in CHF) to CHF 499.7 million, mainly due to a better product mix. From September 2018 to November 2018, cocoa prices in London decreased by -4.1%, from GBP 1,688 per tonne on August 31, 2018, closing at GBP 1,620 per tonne. However, for the first quarter of the current fiscal year, the average cocoa bean price increased by +3.9% compared to the same prior-year period. Due to a good crop in October and particularly strong yields in November, the fundamentals look good for the main producer Côte d’Ivoire. The other main raw material prices showed a mixed price development. On the one hand, sugar prices increased, especially in Europe (+19.3%), due to a very poor crop related to the hot summer. World sugar prices advanced by +8.9%. On the other hand, dairy prices declined by -1.7% at the start of the fiscal year, but a recent drop in milk production has slowed down this trend.